It's important to know the size of your window, the type of your window, the direction your window faces, if the window cranks out and how much coverage you want for your window. 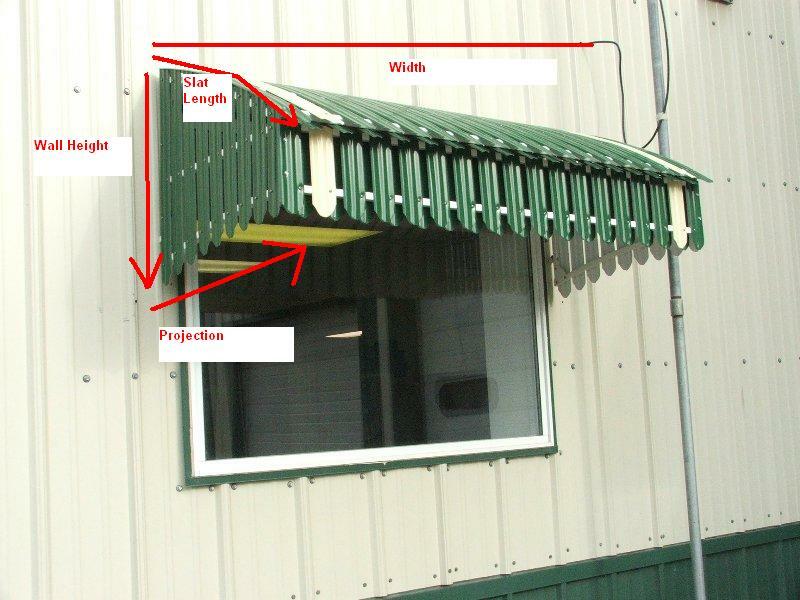 Awnings that face south and east, the wall height of the awning should be 1/2 the window height. Awnings that face west the POINT DROP of the awning should be 1/2 the height of the window for the best coverage. 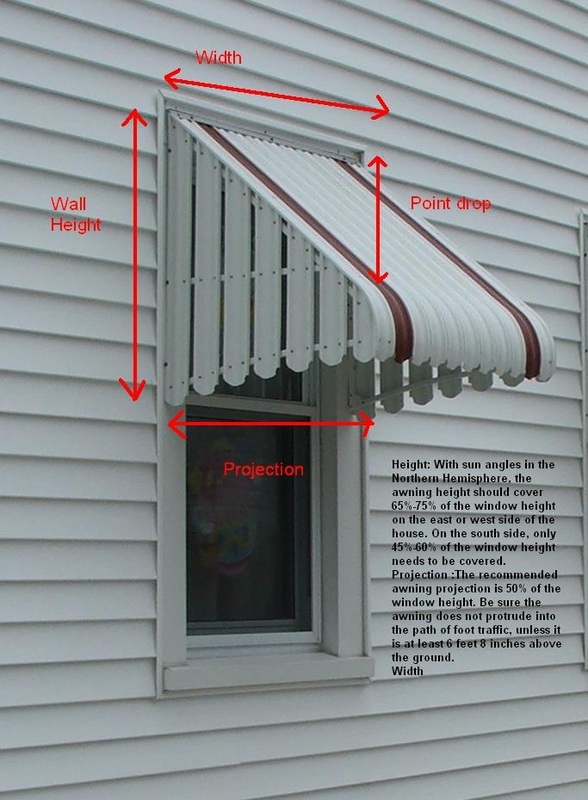 The projection of the awning is usually determined by the height of window or point drop, unless a crank out window. In that instance you need to ensure the window when cranked out does not hit the awning. call for exact sizes in this instance. Be sure the window projection does not protrude int the path of foot traffic and should be 6'8" above the ground.